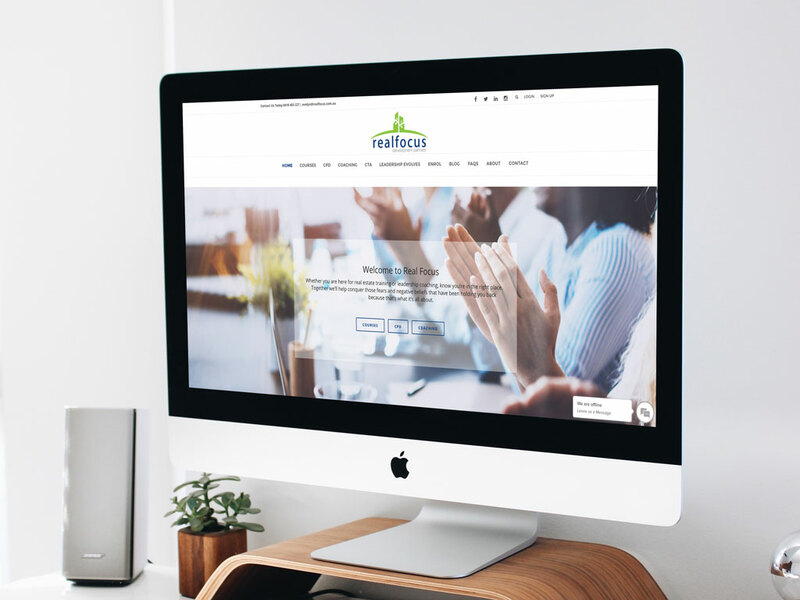 Evelyn Olivares, Founder and Director of Real Focus Pty Ltd, approached Bluebury Creative to create a website that would essentially become a ‘learning hub’ for her students within the real estate and training sector. Evelyn wanted to site to be simple, to the point and professional. We used a white background throughout, incorporating elements of colour in keeping with the Real Focus brand. We kept the imagery relatively corporate but wanted to add a relaxed element to this, so we worked closely with Evelyn to find the right images to use throughout the website. The site has been set up as an eCommerce site as well as a Learning Management System so that students can enrol, pay and take their courses online, with the ability to track their progress and download course material. The Real Focus real estate licensing and leadership programs are designed specifically for developing Real Estate Leaders, a brilliant fusion of ancient wisdom and innovative teaching, tailored to comply with the latest Legislation changes and latest innovations specific to the Australian property industry.